The New B700 embroidery only machines stitched really well at the OESD Super Spree. We still have a few machines that we can sell this week. You can buy them with or without the module. Use the B700 to embroider with your 7 or 8 series module. 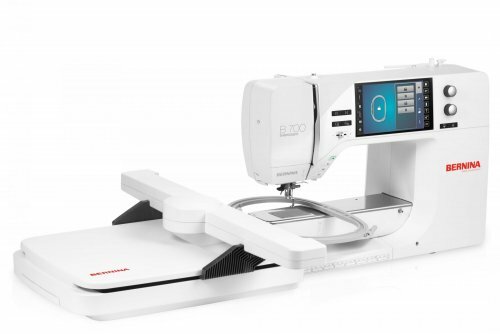 Buy the B700 with the module and embroider on both a the same time. I’ve you’ve had a Bernina Deco and been using it for a while, now is the time to upgrade! Special pricing only till this Saturday! Better hurry! Finance $5,000 or more for 72 months! It’s amazing! Now is the time to take home that Bernina you’ve been eyeing. Financing available June 8 - 12 so hurry in! Get ready to have a fun summer with classes! Newsletter with class listings here! Bernina machines run so well, our techs are getting bored! $5.00 off Tune ups! Bring in this Coupon for $5.00 off a tune up. expires June 30. One coupon per customer. Can only be redeemed on one sewing machine per customer. Can not be combined with any other offer. Does not apply to one day services. (One day services are reserved for customers who live more than 100 miles away and must be scheduled 2 weeks in advance with the tech who will be doing the service.) 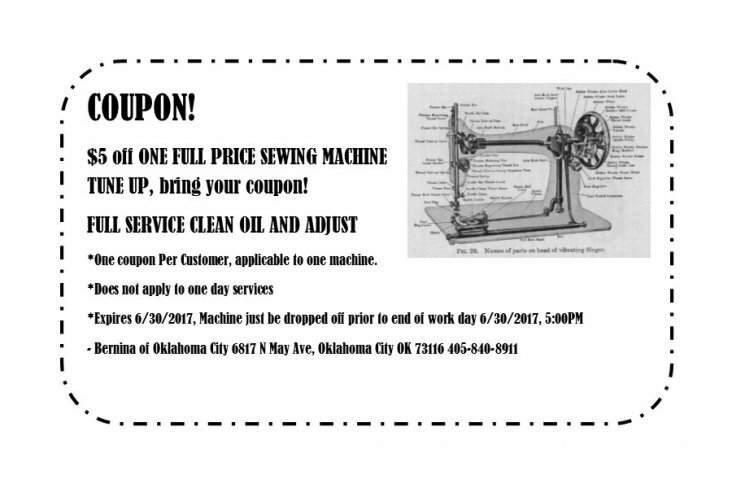 Machines with coupons, in line, by end of day June 30, will receive the discount. Machines are serviced on a first come first serve basis in the order that they come in. The sooner the machine is in line the faster it will get finished. With a coupon, we recommend you bring it in earlier rather than later. Thank you for being our customer!